Premium Asian combination water stone for sharpening your valuable kitchen knives. The paired grain sizes are each designed for rough and finish sharpening and ensure the best possible results. 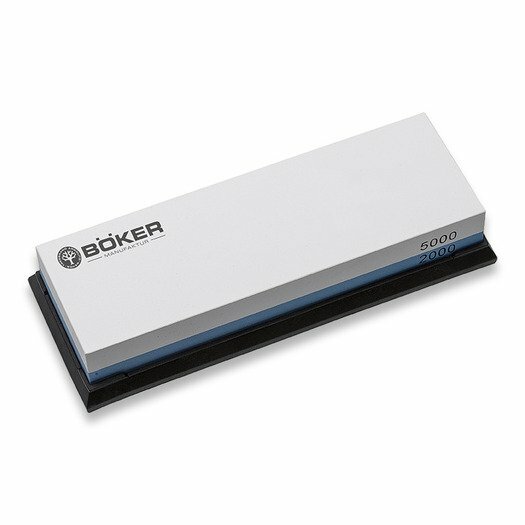 The mildly oversized width provides plenty of working surface and high grinding performance. Ideal for refreshing the edge and for a particularly fine finish. Dimensions: 18 cm x 6 cm x 3 cm. 589 kr. gjenstår før fri frakt!